On May 5th of this year, we got to start our summer season off on the sweetest note by celebrating the marriage of this sweet couple! 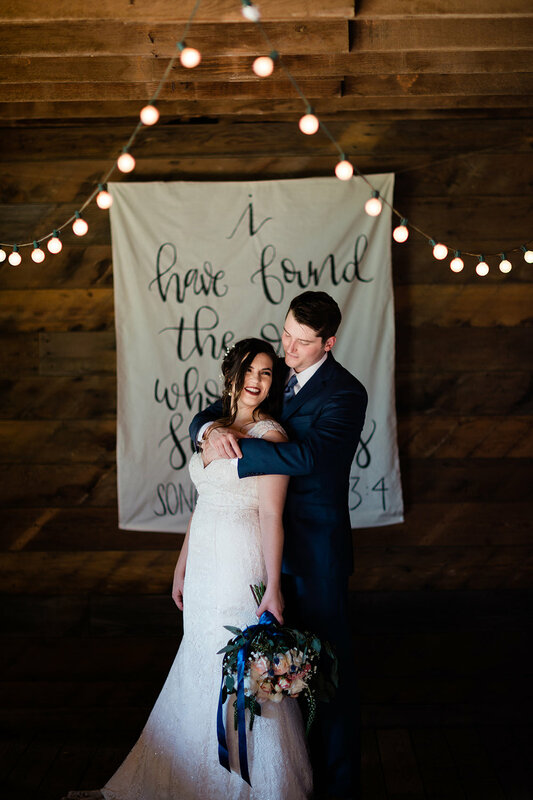 We are so excited to share Becca + Shayden's big day with you! Becca + Shayden first laid eyes on eachother when they met in highschool. Five Years ago, when mutual friends introduced them to one another, they instantly felt a spark and have been together ever since! The soft hues of blush, greens and neutrals coupled with the eccentric pop of royal blue made the perfect color combination for this warm summer wedding. Becca stunned in her her whimsical lace gown complimented by her Kendra Scott earrings and dainty flowers in her hair. Her Bridesmaids looked gorgeous in their delicate pink gowns that perfectly matched the wedding’s color palette. Shayden and his groomsmen were also looking mighty fine their navy trousers and royal blue accessories. Becca said that one of her favorite parts of the day was the "first look" she got to share with her soon-to-be husband. She said: "We decided to have a first look. 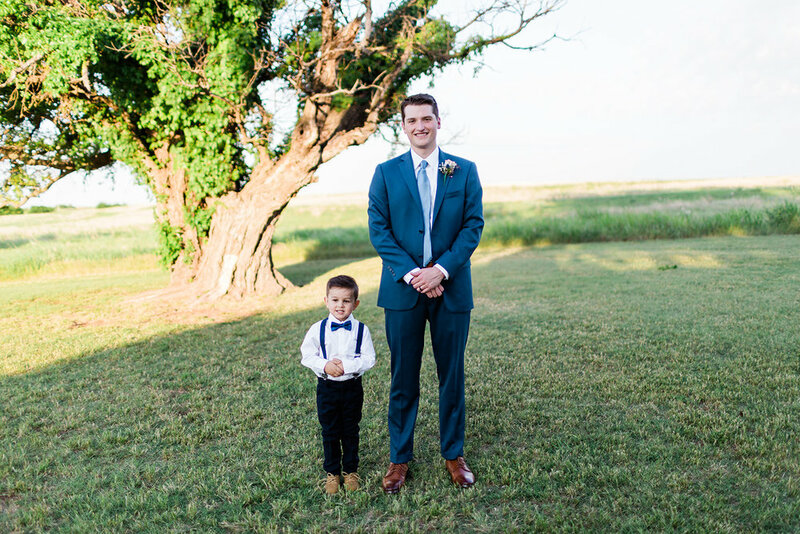 This was a beautiful, intimate moment that we got to share together and have pictures of after we took our pictures with the wedding party and family and before our guests began to arrive." The couple decided to say their vows out on our open-air covered patio. Surrounded by their friends and family, beneath the twinkly lights, Becca and Shayden professed their love for one another and two became one. After the knot was tied, the party was started! The newly weds and their guests enjoyed an evening of dinner + dancing. At the end of the night, Becca and Shayden said their goodbyes to their friends and family, telling them they would see them again after their Honeymoon Caribbean Cruise to Cozumel and Jamaica. 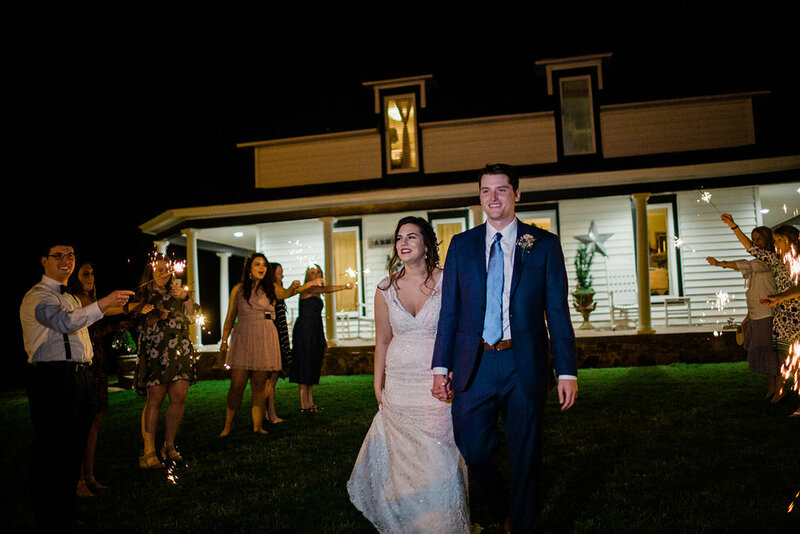 The couple left the venue hand in hand through their magical sparkler exit. We hope you two had the most wonderful time! We loved getting to share your big day with you! Wishing you an eternity of happiness!